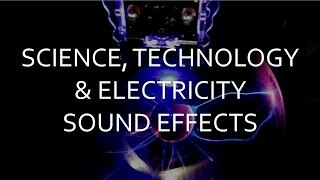 Polarity delivers more than 950 sounds of electricity, science and technology – captured in several locations around the world, from electricity museums to science labs. About 50% of the library is all about electricity, with various types of Jacob's Ladders, Tesla Coils, Ruhmkorff lamp and all sorts of impactful bursts of energy. Many sounds in this section were captured from vintage equipment, from a 1928's tram to old telephone switchboards, high voltage levers and control surfaces. Categories: Electricity, Materials & Texture, Mechanical, Sci-Fi.